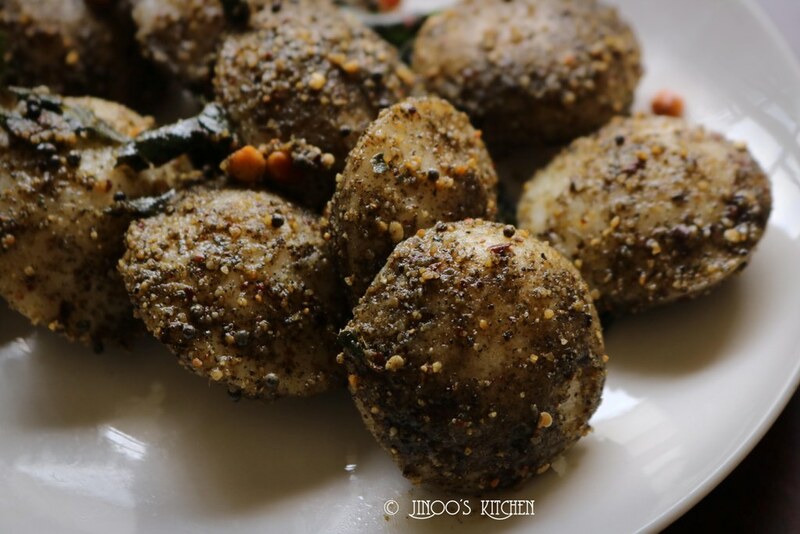 Sesame Seeds idli powder Recipe – Ellu Podi Recipe – Ellu milagai podi for idli and dosa. Ellu is beneficial when included in our diet for its numerous health benefits like rich in protein, prevents diabetes, cures anemia, anti cancer properties, improves digestive and respiratory health and many more. this is one form of including it in diet especially as a south Indian, we prefer idli podis even though we take chutneys with it. so why not make it healthier. heat little oil in a pan and roast black sesame seeds until it pops. when it starts popping, take it in a plate. 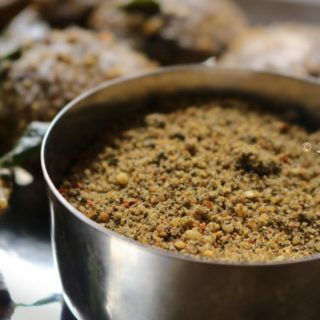 in same pan, heat little oil (1/2 tsp) and add chana dal (kadalai paruppu) and urad dal (uluntham paruppu) with skin. fry until it is reddish. take it to a plate and keep it aside. Again in the same pan, heat little oil and roast red chillies, curry leaves and asafoetida powder. If you are using non stick pan, you need not add oil and can dry roast all these. fry until they are crisp. take it to the plate and let it cool completely. once it is cool completely, transfer to a mixer and add salt to it. grind to coarse powder. you can also grind to fine powder as per your preference. 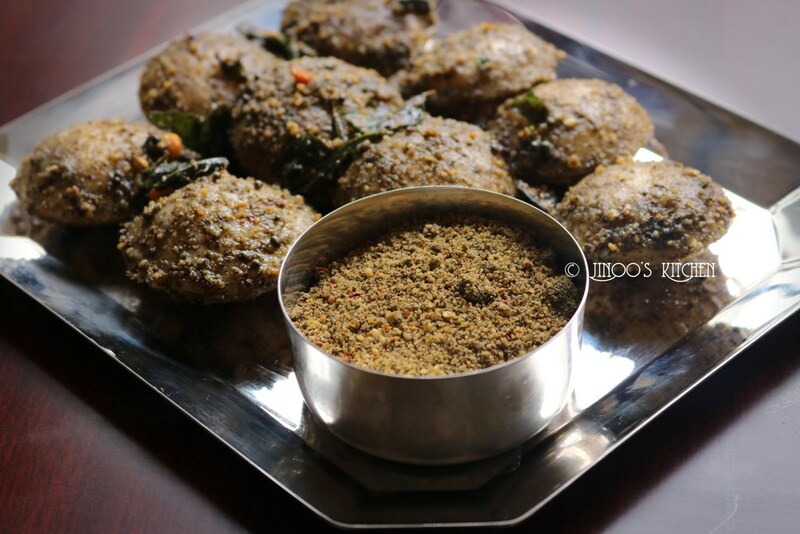 spicy and tasty ellu idli podi is ready ! 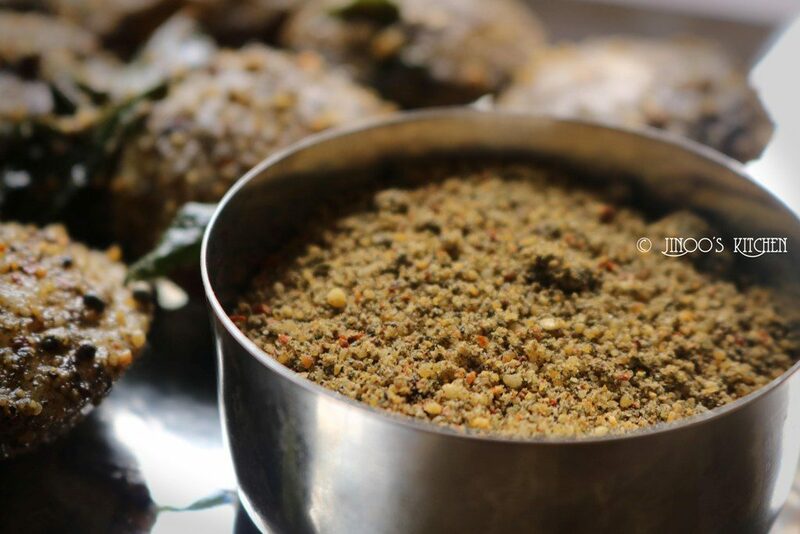 sesame seeds powder recipe for idli & dosa. in same pan, heat little oil and add chana dal and urad dal with skin. fry until it is reddish. take it to a plate and keep it aside. Again in the same pan, heat little oil and roast red chillies, curry leaves and asafoetida powder. fry until they are crisp. take it to the plate and let it cool completely.